Intelligent Fingerprinting’s Dr Paul Yates presents Intelligent Fingerprinting’s ‘Blueprint for 21st century drug screening’ at the 12th Global Addiction Conference in Venice this weekend. Maintaining an open and honest relationship between client and clinician is critical to the success of any drug rehab programme. With this need in mind, many clinics recognise the positive role of drug screening in enabling a more transparent approach to treatment and in measuring a client’s progress towards recovery. The challenge when implementing a drug screening programme is to ensure it serves as a positive tool which helps to keep a client on track, rather than a perfunctory exercise or, worse, a degrading and punitive measure which could damage the all-important relationship between client and clinician. 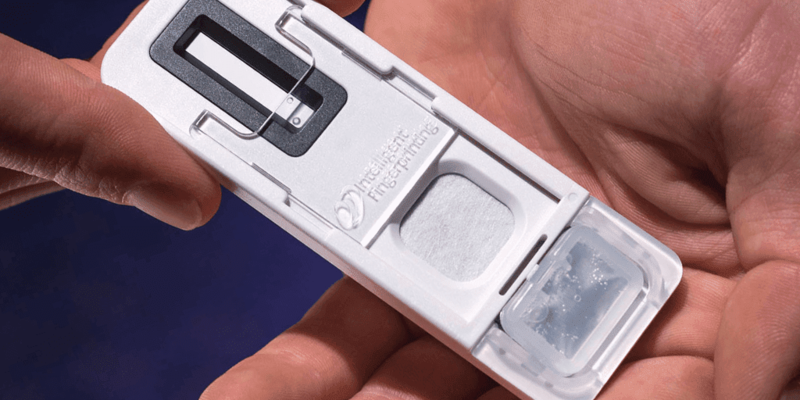 Conventional drug screening tests require the collection and analysis of a body fluid sample such as urine, saliva or blood to detect drug use. However, these existing techniques have significant shortfalls. Body fluids are invasive and can be difficult and time-consuming to collect. They represent a biohazard requiring protective measures for clients and staff, and the need for screening kits to be disposed of as costly clinical waste. Specialist training and pre-prepared collection areas are often required, limiting where and when screens can be carried out. This reduces their deterrent effect and increases the costs associated with the screening programme. Pre-planned screening to address these limitations provides an opportunity for individuals to take measures to beat the tests. One of the least popular aspects of drug screening schemes is the common requirement for clients to provide observed urine samples. This approach aims to prevent cheating but it is time-consuming, undignified and potentially damaging to the client-clinician relationship which underpins the success of the whole treatment programme. A more effective and compassionate approach to drug screening is needed for the drug rehab setting. British company, Intelligent Fingerprinting, could provide the solution. 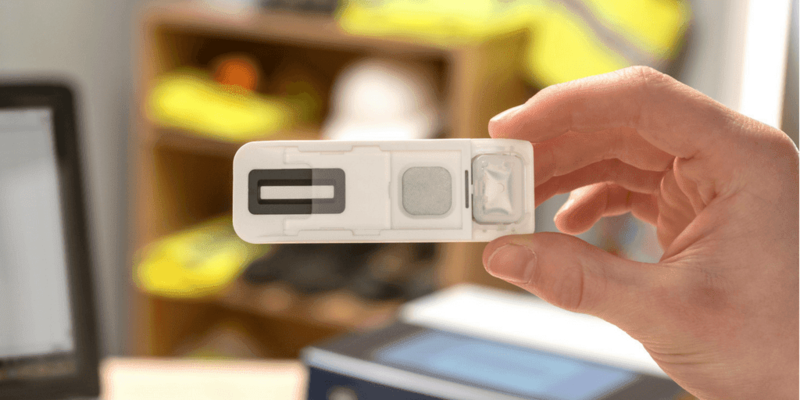 Scientists at the company have developed a mobile drug screening system which they hope will revolutionise the way in which testing is carried out. The technology, which detects the same drugs as conventional body fluid screening tests at equivalent levels of accuracy, works by capturing and analysing the sweat found in a fingerprint. The screening process is quick, easy and, most importantly, dignified. 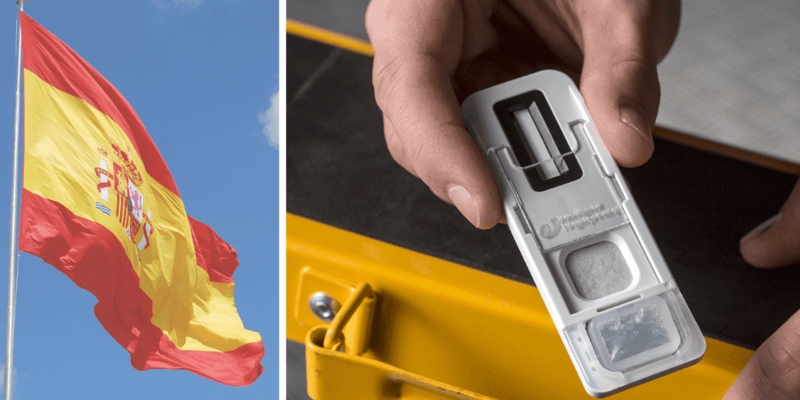 The client presses a fingertip onto a disposable collection cartridge which is inserted into the reader for analysis, with results in under 10 minutes. The test is non-invasive, easy to administer and difficult to cheat. Minimal staff training is needed and no pre-prepared collection areas are required, enabling random screening anywhere, any time. Fingerprints sample cartridges are safe to handle and can be disposed of with normal refuse.